I didn't see any turtle except this postcard. 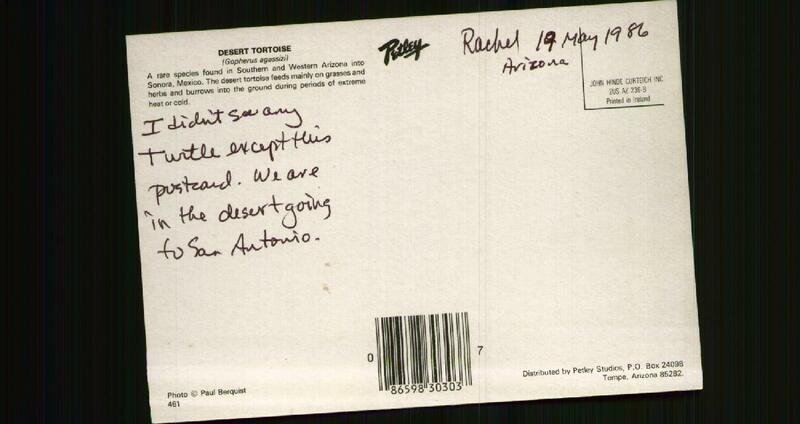 We are in the desert going to San Antonio. A rare species found in Southern and Western Arizona into Sonora, Mexico. 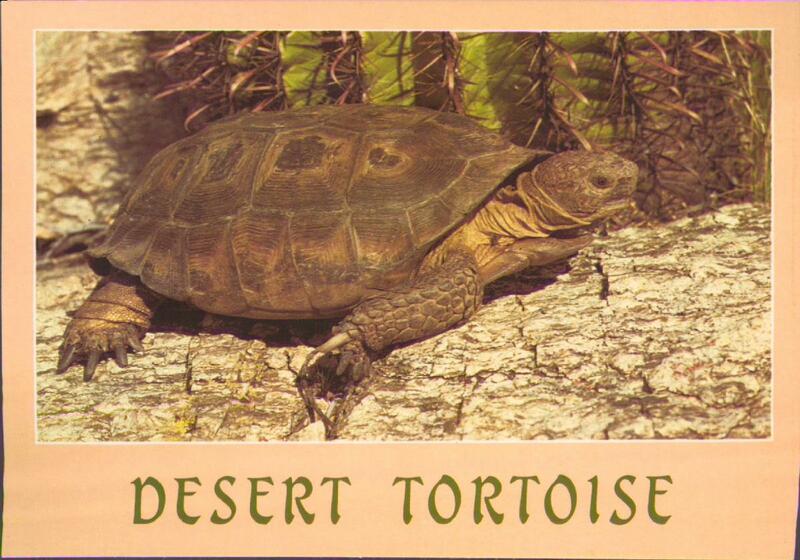 The desert tortoise feeds mainly on grasses and herbs and burrows into the ground during periods of extreme heat or cold. This turtle is not having any of it. Maybe it's angry that it's named after Louis Agassiz.